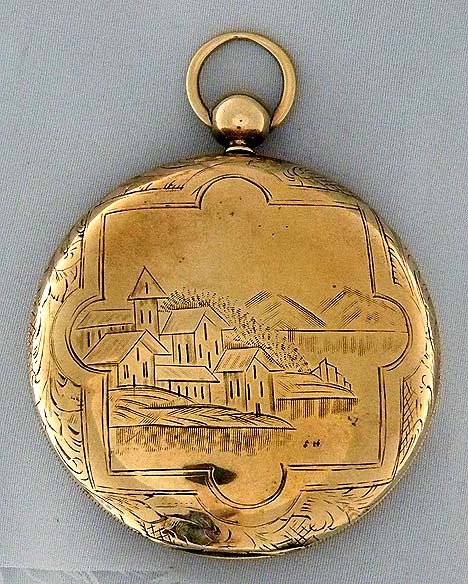 Good scarce large Swiss 9K gold hunting case Chinese market watch circa 1850. 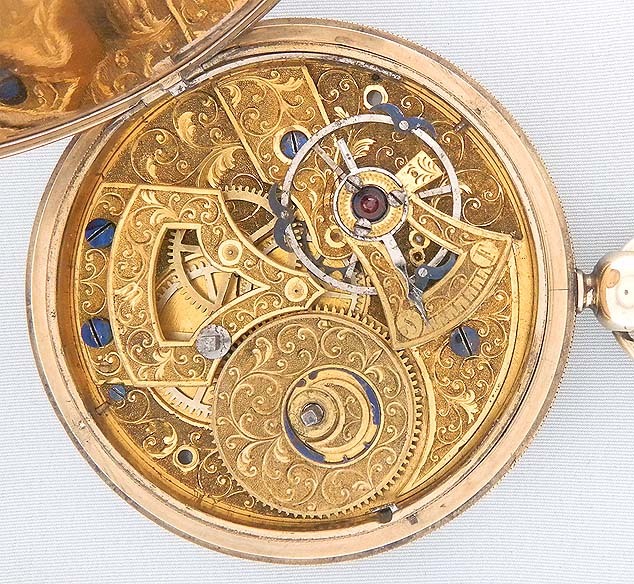 Fully engraved movement with cylinder escapement and 'devils' on the balance. 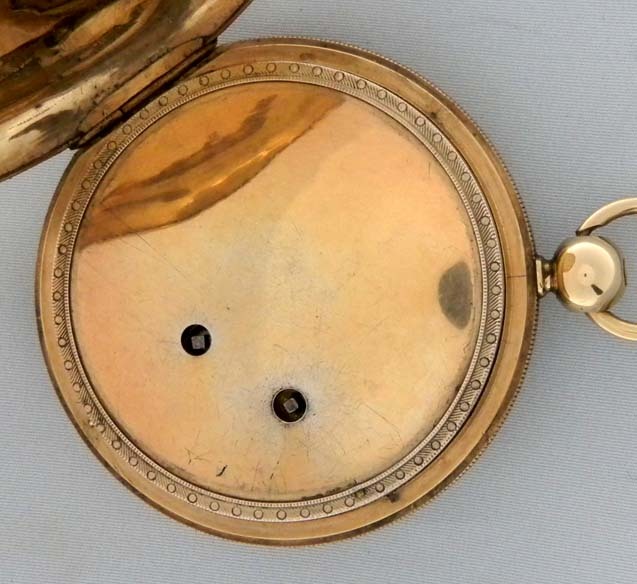 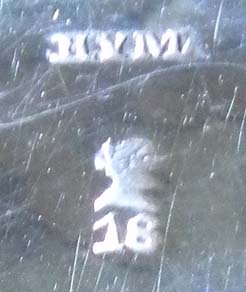 Nicely engraved 9K gold case (marked 18K) with even overall wear. 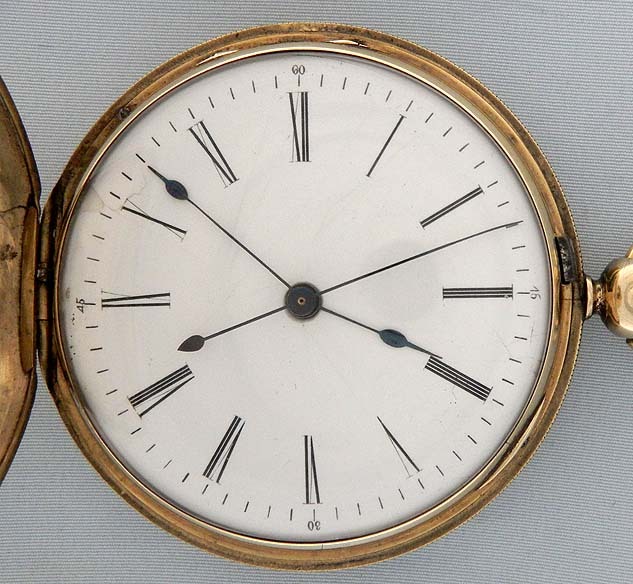 White enamel dial with cracks at X and blued steel hands. 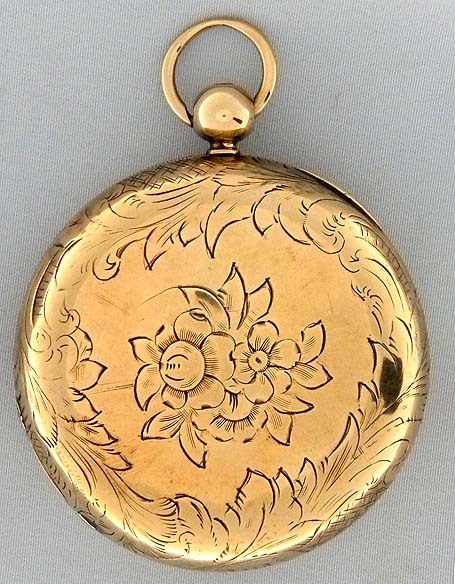 Spring hinged silver gilt dust cover.